Cameron Chambers | A few years ago, Cameron went to Patagonia to write a fishing guide. He figured it was as good a time as any for a new guide to the region. As luck would have it, of course, he arrived back in the region after guiding there only to find that a new fishing guide was about to be published by someone else. And so with his original plans scuttled, Cameron decided to change tack and write a book that was less about catching fish, and more about the people that helped him get to the fish, and that he met along the way. Chasing Rumor is that book, and it will be released by Patagonia Books on June 9th. Cameron has previously published work in Outside, Fly Fisherman, and American Angler, among other places. Cameron Scott | From Cameron's website, www.writerfish.com: Cameron Scott received a Master of Fine Arts, Poetry, from the University of Arizona in 2004 where he also taught a creative writing workshop for Voices 110 Degrees, a writing program for at risk youth in Tucson, AZ before taking a road trip in search of his roots and trout. He worked for two years in Crested Butte, CO as a fly fishing guide at Dragonfly Anglers before settling in for the long haul at Taylor Creek Fly Shops in Basalt, Colorado where he spends his summers guiding. While some of his jobs have been as varied as working for Camp Lincoln for Boys and The Aspen Writers' Foundation he loves teaching creative writing, most recently for Fishtrap and Chiloquin Visions in Progress as a Writer-in-Residence. Cameron's work has been published in The Flyfish Journal, The Ski Journal, Burnside Review, and Apercus Quarterly, among others. Catie Webster | Catie Webster is a writer and vagabond creative currently based in Bozeman, Montana. She grew up fishing salt, but began a long time love affair with trout in 1990 that led her to the Rockies and holds her there to this day. 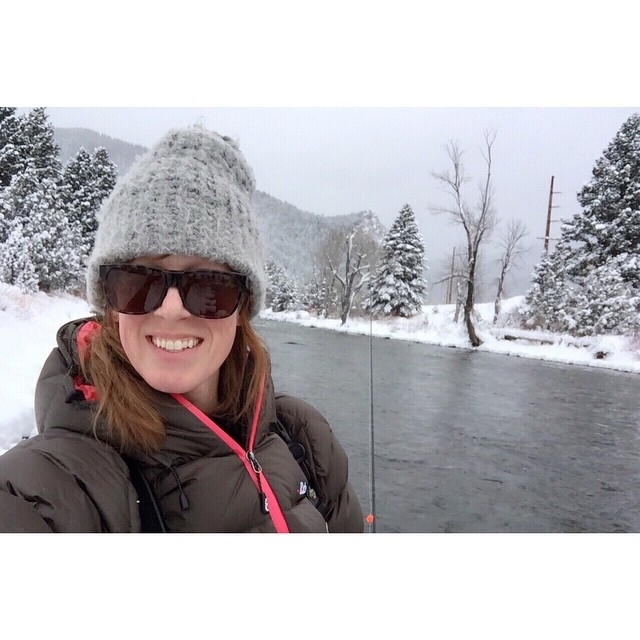 She writes about her experiences on and off of the river at thearbitrarium.com and spoke at TEDxBoulder about the importance of conservation and commitment in flyfishing (or any endeavor) in September of 2014. Amy McMahon | Amy graduated with a B.S. in Biological Science from Colorado State University, where her studies were focused on insects and ecology. Since 2009, she has worked in the field of aquatic biology, where she has had the opportunity to not only increase her knowledge and skill set, but work in an environmental field she is passionate about. Because Amy encounters aquatic macroinvertebrates on a daily basis, she is continually building on her insect identification skills. She is also currently a Society of Freshwater Science certified taxonomist in both the Western EPT (Ephemeroptera, Plectoptera, Trichoptera) and Western Chironomidae taxa groups. YMCA BOLD & GOLD | The Boys and Girls Outdoor Leadership Development programs (BOLD/GOLD) nurture multi-cultural leadership skills in youth 11–18 years old. We offer programs that range from weekend excursions, to 1, 2 or 3 week expeditions, including backpacking, rock climbing, fishing, yoga, art, and the kind of good-natured fun that leads to long-term friendships. You don’t have to have experience or outdoor gear, but you do need an open heart, an inquisitive mind, and a thirst for adventure. Visit http://ymcaleadership.com/ for more info.